This selection of fall scenes from Pittsburgh shows why you need to explore the city during the fall. Between the fall traditions and changing colors, the city is an awesome place to see in the fall. Here is the curve on Serpentine Drive. During the summer, this curve is used for the Vintage Grand Prix and it is stunningly beautiful. At the top of the hill, there is the Neill Log House, dating back to sometime between the late 1760s and early 1770s. 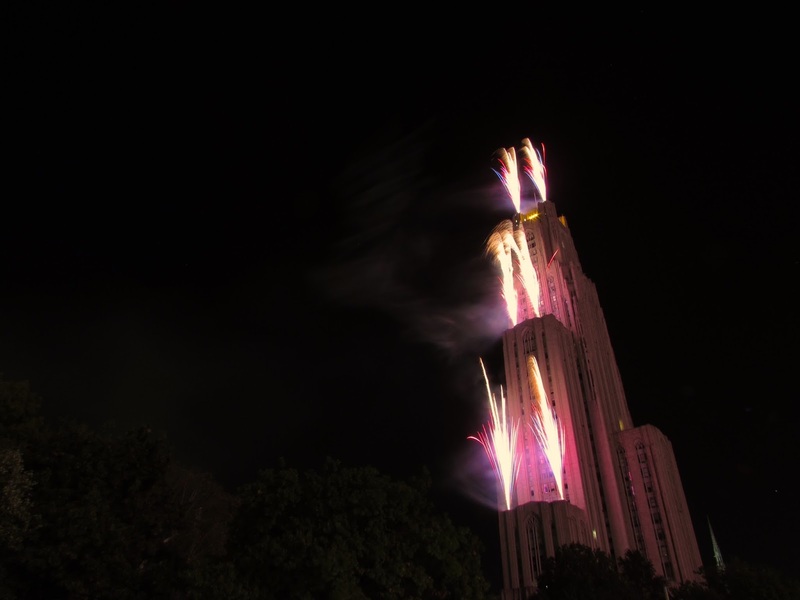 Pitt's Cathedral of Learning is home to a number of awesome traditions in the fall. 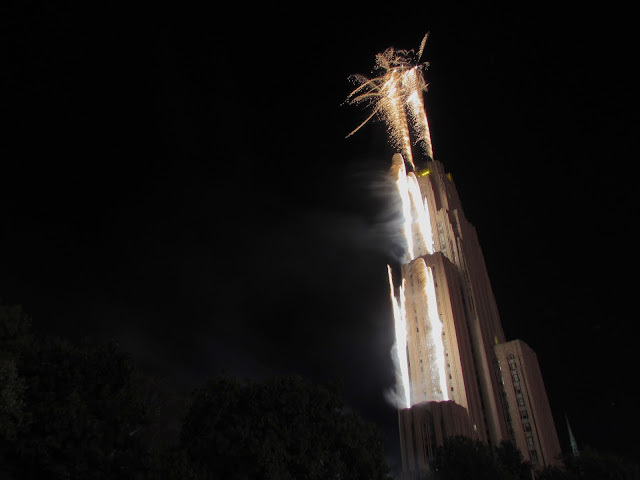 For the school's homecoming football game, they shoot fireworks off of the tower, providing a one-of-a-kind spectacle. During the day, the changing colors around campus make this Late Gothic Revival tower really stand out. 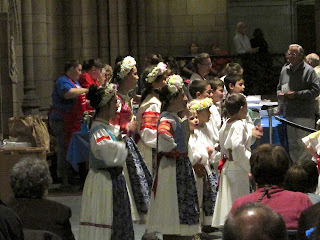 Here you can see the Carnegie Museums of Art and Natural History, the Music Hall, the Library, and Carnegie Mellon University. Here you can see Soldiers and Sailors Hall on the lower right, a number of campus buildings, Western Psychiatric Hospital, The Pedersen Event Center, the VA Hospital, the Upper Hill, Downtown, and more. 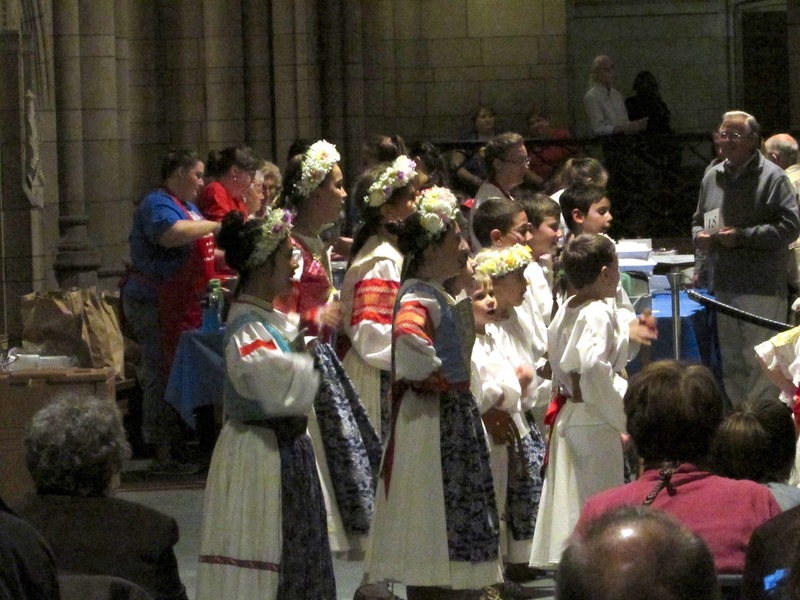 The lobby area of the Cathedral of Learning is used for ethnic celebrations in November, including the Slovak Heritage Day (seen here) and the Polish Heritage Day, where delicious ethnic foods, dancing, music, and crafts take over the Commons Room of the building. View from the West End Overlook towards downtown and the Three Rivers. 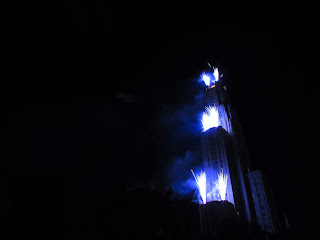 From a much foggier day! Pittsburgh is great to explore in the fall.